Here is another free ebook offer. This is a timely read in the midst of our troubled economy and political strife. Invariably when I broach this subject I am quizzed about the Watchtower booklets used by the Jehovah’s Witness. And so, right up front let me say that these are not the same. Rather, this is a term used in the bible in Ezekiel, Chapter 33, and verses 1-11. In this chapter God addressed Ezekiel in such a manner that it leads some scholars to believe God was talking to anyone who is called to be part of the clergy. Some scholars will say God is using this example to Ezekiel to highlight the duty of all Christians. Either way there is a lesson to be learned here. I am not going to write out all the verses. Those that I quote will be from the Revised English Standard. The people of the Old Testament times were mostly nomads; some people had become city dwellers as a means of safety. Whether nomad or city dweller, danger lurked in the form of marauding bands or raiding armies. A watchman was necessary to warn the people of incoming danger. The watchman would take the highest vantage point to scan the horizon for trouble. From the highest sand dune, cliff, or pinnacle of the city tower, he would keep an eye out for threats. We obviously want people with certain qualities to fulfill these positions. They need to be able to see communicate clearly. We don’t want a blind mute watching for us. God set Ezekiel up a watchman. He was told to warn the people of Israel as God’s spokesman. What God told him, he was to tell the people. God specifically told Ezekiel, the Watchman to warn the wicked that they will die in their wickedness. There were two possible scenarios here God describes along with the outcomes of each. The Watchman, given a clear word from God to warn the wicked people of their wickedness and to turn away from it, decides not to warn the people. The people will surely die, but God will hold the Watchman accountable because the people did not have a chance to change from their wickedness. The Watchman does tell the people they are going to die in their wickedness and they don’t repent of their wicked ways. Again, the wicked will die in their wickedness, but the Watchman will not be held accountable. He did what he was instructed to do. In the first scenario the wicked are not warned and God says that person will be “taken away in his iniquity.” Iniquity is immoral behavior. If left unchecked, the person will be lost in it. Can people be so blind to their immoral lives? Yes, they see nothing wrong with their lives and who are you to point it out? You got to be careful here. If God tells you to speak with someone about their immoral lifestyle, you better be sure it is from God and you go in His power, not your own. Conversely, if God has told you to address the immoral ways of someone and you don’t speak up, then God is going to hold you accountable for not speaking to that person. This isn’t so easy with family or friends, is it? Do Christians have a right to correct/confront Christians? Here too, it is not a matter of a right as much as it is a matter of obligation. Believe it or not, Christians and non-Christians have a different standard. God does not expect the unbeliever to act like a Christian. He expects them to become Christians. God also does not expect Christians to behave like unbelievers. The correction here is to bring a brother or sister, someone who is part of the family, back into a right relationship with the family. Their iniquity separates them from fellow brothers and sisters as well as the Father. As promised, I found another free book offer. This time it is an ebook. For a limited time you can get this free ebook on your Kindle at Amazon. See the description and link below. So, what if I offered you something for free? Nothing is free you say. Well, that would be true. In school, the free lunches were paid for by tax money the government filtered down to the school, so technically it wasn’t free. What about free salvation? It’s free to you, but it cost God His Son and Jesus His life and I know He would do it again if it was required. How about a free book? This cost the author time, effort, and somebody’s money, but if they offer it to you for free, then you would wonder what the catch is. I have found over the years many such offers and I have tried out quite a few of them. 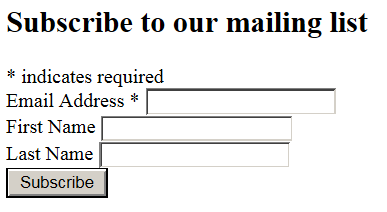 The “catch” is usually signing up for an email, blog, or newsletter subscription. All of which can be cancelled at any time. I usually enjoy the subscription, so, is it free? I would say free enough. With all that said, I have decided to share these offers with you my reader as I find them. Here is the first free offer I have found worthy of sharing. I hope you enjoy it.